Miele Dynamic U1 HomeCare Upright Vacuum SHCE0. The Miele Dynamic U1 HomeCare gives you the ability to clean everything in your home. From Wall-to-Wall Carpet to Wood Floors to Drapes to the Clean Air it Expels, the Miele Dynamic U1 HomeCare Upright Vacuum cleans it all. The Miele Dynamic U1 HomeCare Upright Vacuum can shut the brush roller off to clean your bare floors and automatically adjusts the height of the brush roller to clean any height carpet without having to stop and push something. 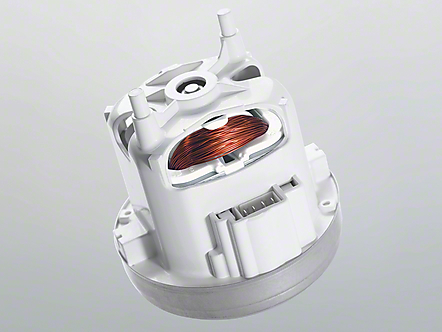 Miele U1 Dynamic Homecare uprights feature a strong 1200 watt suction motor with 140 cubic feet suction at the intake. A specialized brushroll works effortlessly through carpets capturing dirt and pet hair on a single pass. Need best in class filtration? Miele upright vacuum cleaners have it. 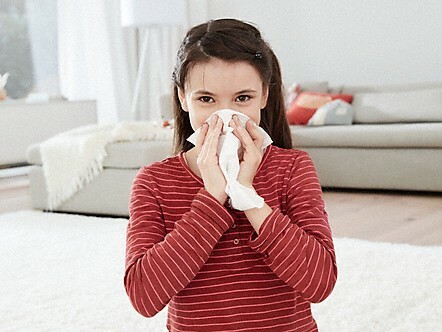 Outfitted with a sealed system and optional HEPA filtration, these vacuums guarantee the best air quality in your home. Miele Dynamic U1 HomeCare Upright Vacuum SHCE0 Miele are specific to their Authorized HomeCare Dealers because they can provide personalized attention from a Miele expert. 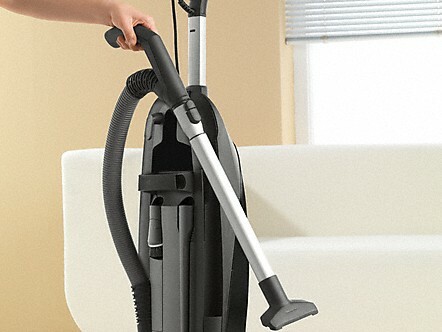 Unique swivel neck to maneuver around the tightest corners, a powerful 1200-watt motor, three on-board accessories and adjustable suction control, make the Dynamic U1 HomeCare ready for any cleaning surface. Miele Dynamic U1 HomeCare Upright Vacuum. Not many floor coverings create the feeling of a carpeted floor. Miele has developed the S7 to ensure proper care. It has the special feature of an integrated roller brush which cleans carpet fibers thoroughly but carefully and restores the pile. Miele Dynamic U1 HomeCare Upright Vacuum "Powered by its own motor, the beater bar rotates at a steady speed and applies uniform pressure – independent of the selected suction power." The rotation ensures intense deep action and thereby particularly thorough cleaning of heavily used, robust carpeting. "Heavily trodden paths" across carpets are avoided. The electrobrush can be switched off, making it suitable for smooth floors too. Miele Dynamic U1 HomeCare Upright Vacuum. Optimally-positioned suction channels and wave-shaped brushes ensure exceptional cleaning performance. Thorough vacuuming even up to the edges of the floor. Hair and threads can be easily removed from the roller brush. The floor unit has a safety shut-off anything is vacuumed up by mistake. The protection strip made of soft synthetic material protects furniture and appliance in case of accidental collisions. Miele Dynamic U1 HomeCare Upright Vacuum.The exceptional overall filtration of Miele vacuum cleaners is based on a multi-level filter system. It consists of the innovative Miele AirClean 3D Efficiency dustbag, Pre motor filter and Miele exhaust filter. The interaction of these components ensures that more than 99.9% of fine dust1 is filtered. You can breathe with ease! Miele Dynamic U1 HomeCare Upright Vacuum. "With Miele, you can choose from three different exhaust filters." The HEPA AirClean filter retains even the smallest particles. The time strip® lets you know when the filter should be changed. 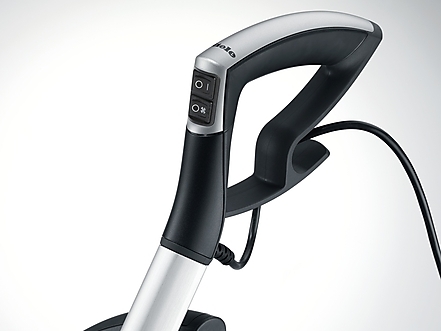 Miele Dynamic U1 HomeCare Upright Vacuum.Quality is Miele's highest priority. From conception to finished appliance. Miele canister, stick and upright vacuum cleaners are developed and manufactured exclusively in company-owned factories. At the end of the manufacturing process, each individual vacuum cleaner is subject to comprehensive testing one more time. This care and attention results in exceptional quality and a long service life for Miele products. 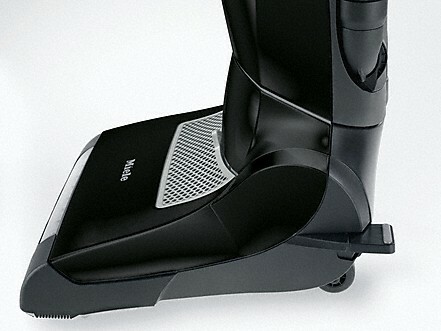 Miele Dynamic U1 HomeCare Upright Vacuum.The selected power level is ramped up slowly when Miele vacuum cleaners are switched on. This protects the mains from overload. Miele Dynamic U1 HomeCare Upright Vacuum.Thanks to its large footprint the Dynamic U1 can be parked securely without tipping during vacuuming breaks. The roller brush is switched off automatically in order to protect the carpet. 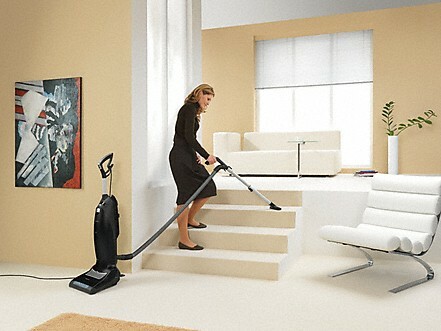 Miele Dynamic U1 HomeCare Upright Vacuum. Light up the darkest corner: the maintenance-free LED strip in the floor head. Leaves no dirt undetected, even under furniture. 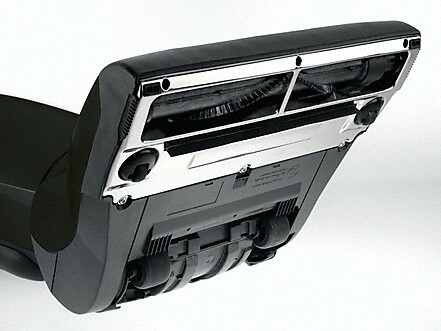 The Dynamic U1 is equipped with a unique double-swivel joint. This makes it surprisingly maneuverable and easily able to pass over or around obstacles. Miele Dynamic U1 HomeCare Upright Vacuum.10m long cable, telescopic tube and flexible hose: The S7 provides you with an operating radius of 46 ft This allows you to vacuum large areas without effort as there is no need to frequently change sockets. 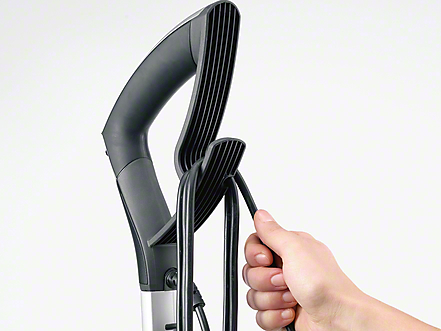 Miele Dynamic U1 HomeCare Upright Vacuum.Two cable hooks as well as the practical cable clip secure the supply lead to the casing – tidy and always at hand. When work starts the wire can be released quickly by turning the lower wire hook upwards. Miele Dynamic U1 HomeCare Upright Vacuum.The ergonomically designed comfort handle with SoftGrip insert feels very pleasant in the hand and allows easy navigation with the Dynamic U1. You can switch it on or off at the touch of a finger and engage or switch off the electrobrush as needed. Miele Dynamic U1 HomeCare Upright Vacuum.Three premium accessories are integrated as standard at the back of Miele upright vacuum cleaners. Upholstery nozzle, dusting brush and an extra long crevice nozzle are close to hand at all times. The electronic suction power control is controlled by an infinitely adjustable rotary selector. Symbols indicating the type of use. The settings are suitable for make it easy for the user to select the most effective power level.